Pizza Pizza Pizza. We all know it, we all love it. But do you ever get the fear of ordering pizza in a new place, or steering away from your regular takeaway, in fear that it wont taste the same, or even good for that matter?! 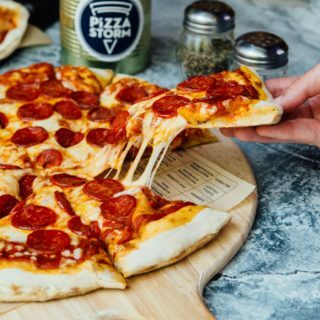 Well, not to worry, we’ve got a trusty list here with 10 of the BEST places to order pizza in Nottingham. 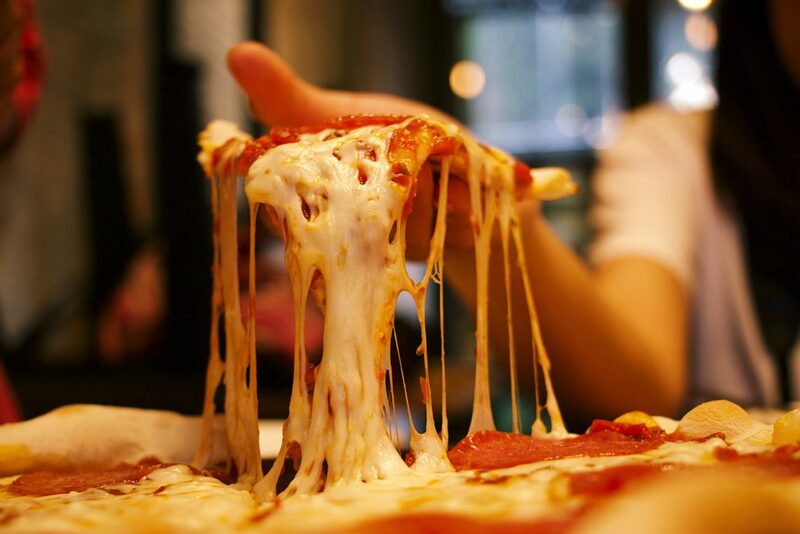 And seeing as though it’s National Pizza Day on 9th February, we’re guessing you’ll need it! National Pizza Day is celebrated throughout the world and more predominantly, the USA but this year we wanna do it BIGGER. 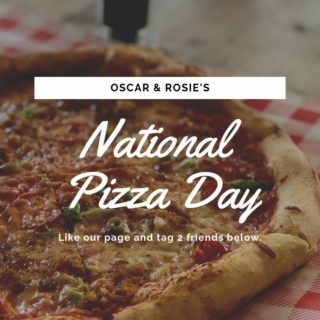 So go down this list, pick a place to indulge, and get ready to celebrate National Pizza Day this Saturday by posting your juiciest slice with #NationalPizzaDay on social media – mmm. Our passion for Italian food can be traced back to our founder, Peter Boizot and his love affair with Italy. 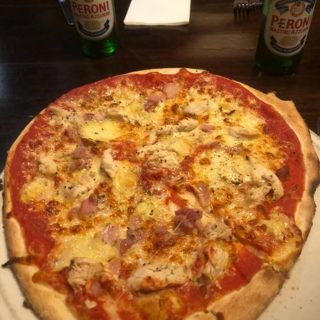 Unhappy with the pizza in London, he shipped over an authentic oven, knocked down a wall to squeeze it in, and opened our very first restaurant on Wardour Street, on Saturday join us in the authenticity and enjoy Italian pizza, pasta, salad and desserts. Oh, and our famous Dough Balls! Join us for National Pizza Day! 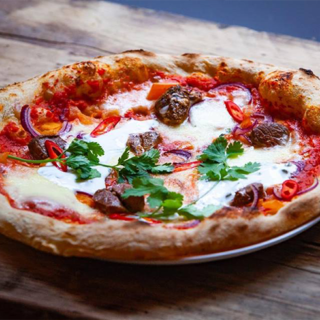 An exciting new pizza & dessert pop up concept comes to Nottingham this winter. Join us this weekend! Beautiful music, stylish surroundings, delicious food & drink all in the centre of Nottingham! 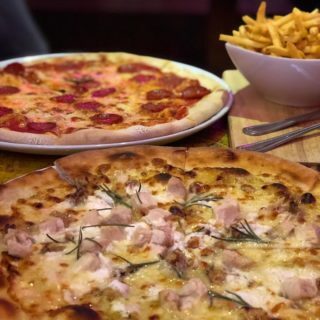 Real Italian comfort food from Nottingham’s best artisan style stone bake pizza kitchen, just order at the bar and celebrate for #NationalPizzaDay! Est. 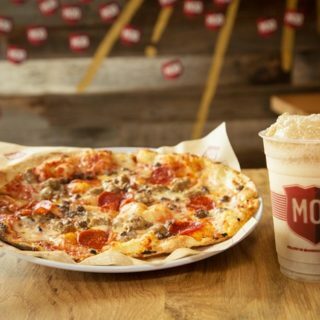 2013 We are independent creators of exceptional pizzas. We make all our sauces from scratch, source our ingredients carefully and even freshly slice our cheeses to ensure they melt in just the right way. Join us for National Pizza Day Saturday! Whether you are meeting friends, having a business lunch or a relaxed informal meal we can cater for your every need. 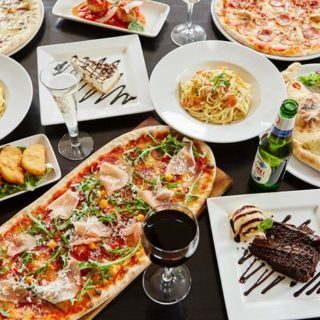 With an extensive menu that features many Italian classics as well as our Savai Specials our food is second to none. 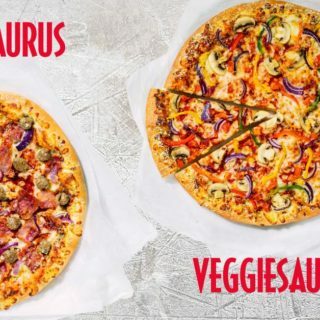 Offering fast fired pizza with a choice of over 50 toppings – choose to create your own or pick from one of our menu pizzas, we even do VEGAN OPTIONS! At MOD it’s all about you! 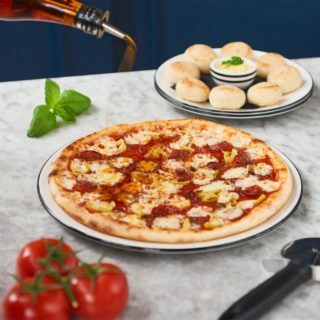 With 34 toppings at your disposal come and make your pizza how you like it, especially for this year’s National Pizza Day 2019!